As the world of ecommerce continues to grow, merchants everywhere have plans to make online sales a larger part of their total sales mix. Many of those merchants, however, don’t want to deal with the hassles of ecommerce shipping, and therefore require a dependable order fulfillment center. Sure, I guess that’s technically true. But what if it’s the wrong box? Or the wrong product? Or the product is missing? Or the order is late? Or the order doesn’t close and the tracking info is not sent? Or the order is never received in the first place? Or it’s not packed right and breaks during shipping? Or the wrong ship method was selected? When an eFulfillment company is managing millions of products and tens of thousands of orders across a multitude of clients, picking and packing merchandise is actually not so simple. Doing so requires the right software, the right hardware, the right processes, and, ultimately, the right experience in order to consistently meet the customer’s expectations. When I say experience, I mean relevant experience. For instance, how many years has the fulfillment company been shipping direct to consumer? You may find a company that says they’ve been in business for 50 years, but if their bread-and-butter has always been B2B shipping….which is a whole different animal….than their past experience isn’t all that relevant. You may assume that dependability and experience go hand-in-hand, although that’s not always the case. The best order fulfillment companies not only have experience, but, more importantly, they apply that experience to make the investments necessary to maintain dependability. On many occasions, I have seen fulfillment houses that have been in business for several years start to let their service levels deteriorate because they don’t make the investments needed to keep up in an expanding industry with ever-growing demands. As an ecommerce seller, when you’re evaluating fulfillment companies, make sure to not only verify how many years of relevant experience they have, but also get more specifics on their turnaround times, accuracy rates, and what they’ve done recently to invest in their technology, infrastructure, and people. Questions regarding these investments also relate to the company’s scalability. The best fulfillment companies are able to scale up and down to meet the needs of their clients, whether they specialize in small-to-medium businesses (SMBs), or the largest internet retailers. Regarding that scalability, I’m referring to not just the physical warehouse capacity, which, of course, is critical, but also the scalability of the fulfillment center’s technology, including their platform integrations, EDI connections, warehouse management software, inventory management software, reporting, etc. Changing fulfillment companies is generally a large, costly project, so it’s important to make sure you’re planning for the long-term and accounting for your growth plans, which may include different types/size shipments, new integrations, real-time inventory across multiple sales channels, more robust reporting, guaranteed turnaround times, etc. Technology was mentioned briefly above, but I wanted to touch more on that topic, as it’s important. When ecommerce sellers are looking to outsource their order fulfillment, it’s generally because they want to focus their time on other tasks, such as sourcing products, marketing, business development, etc. Therefore, to actually free up time to do those things, it means that their order fulfillment partner must be able to make things simple for the seller. This means automatically pulling their orders from one or more channels, including their own webstore, as well as marketplaces like Amazon and eBay. Additionally, the best fulfillment companies will also be able to automatically send tracking and inventory numbers back to their clients’ platforms, allowing them to manage their inventory across multiple channels, as well as blast tracking emails to their end customers automatically. The concept of simplicity relates to technology. However, simplicity goes beyond that. It also means that your fulfillment company doesn’t have a complicated fee structure with a lot of nickel and diming. 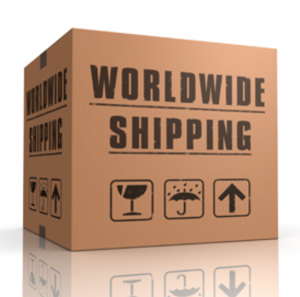 It means that your fulfillment company is able to receive your inventory without a tremendous amount of prep work. It means that you’re able to pick up the phone and speak with a representative that is actually at the same location as the warehouse, rather than going through several layers of support via email, or having the support staff at a different location, which results in delays. And it means that when you have a problem or a question, that you get a simple, straightforward answer. Location and speed are two of the more standard elements that ecommerce sellers evaluate with potential fulfillment partners. But, without the things I mentioned above, including experience, scalability, technology and simplicity, the promise of speed and dependability likely won’t be fulfilled (a little pun intended). That said, location and speed are, of course, important with any ecommerce fulfillment operation. The biggest and best retailers have fulfillment centers in multiple locations to minimize shipping distances, costs, and transit times. To achieve this, however, it not only requires first-rate inventory management, it also requires adequate order volume to justify the additional carrying and logistical costs associated with dividing your stock. For many small-to-medium businesses, having one distribution center is often more cost-effective. And if that distribution center is strategically located….such as on the west coast if the bulk of your customers are out west, or in the center of the country if they’re scattered throughout the country….then those SMBs are able to maintain low transit times, simply their fulfillment operations, and still maintain a high customer satisfaction rate. The last thing I want to touch on is reputation. The best order fulfillment companies will, of course, have a great reputation for the things they claim to do well. We all know that salespeople can paint a very bright a picture, but it ultimately comes down to the actual experiences of their clients. So, do your homework, ask for references, go on forums, blogs, review sites, check out the Better Business Bureau, and make sure that the fulfillment partner you’re considering has a consistent reputation and track record for not only great service, but also making things right when things go wrong.